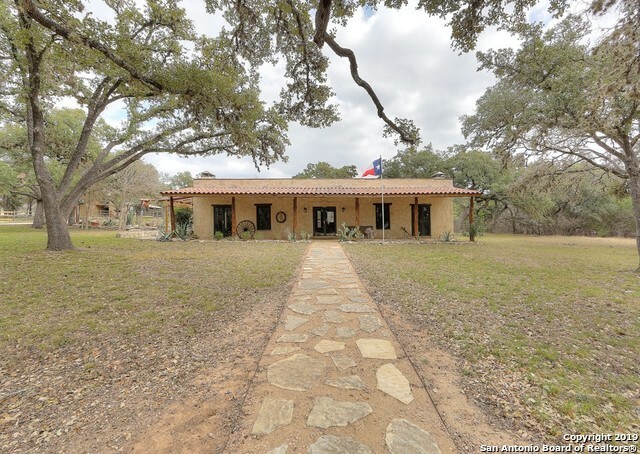 All River Trail homes currently listed for sale in Boerne as of 04/26/2019 are shown below. You can change the search criteria at any time by pressing the 'Change Search' button below. "Historic pueblo style all rock ranch house built in 1938 by then-San Antonio Mayor McGowen as a cattle ranch retreat, mimics the San Antonio's Governor's Palace. Unique 1930's tiles abound throughout as do Old-World Mexican doors, high concrete-planked ceilings, one foot thick limestone walls, two Kiva-style rock fireplaces, tow hearth-styled rock fireplaces, along with two spacious and modern house additions. Completely Updated to 21st Century standards. House comes with 3-car carport, and much"